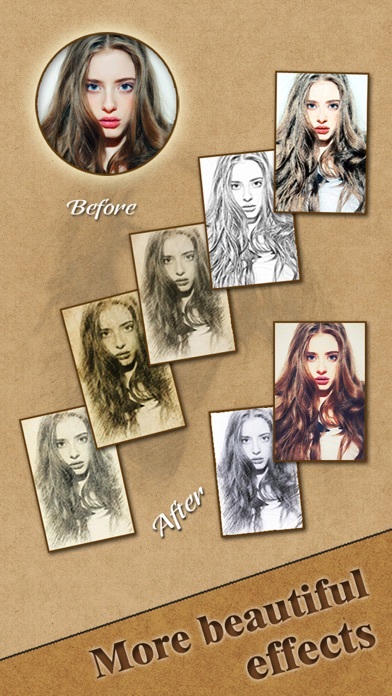 Cartoon Sketch adds sketch, pencil, cartoon and many other effects on your photos. With so many wonderful filters, your photos will look outstanding and got more likes. Cartoon Sketch lays out all tools in the same edit screen, so it's very easy to use. Pick a picture from your gallery or capture one from your camera to generate the sketch. When finished, you can share them via Instagram, Facebook, Twitter, E-mail, SMS, etc. Cartoon Sketch is the best sketch app you can find in Apple Store. Come on and create your artist paintings! 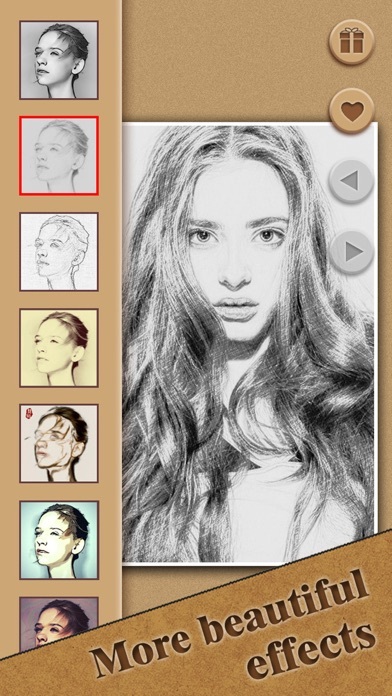 ===== More Info http://www.apppicker.com/reviews/24418/cartoon-sketch-hd-app-review-create-great-sketches-from-your-own-photo-gallery ===== Features * 90+ amazing filters!! 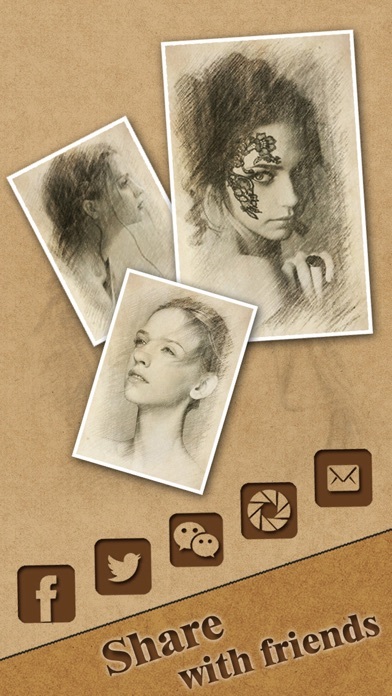 Incredible sketch effects!! * High resolution and suitable for painting. * Realistic and near perfection sketch. * Support history photos. * Support favorite filters. 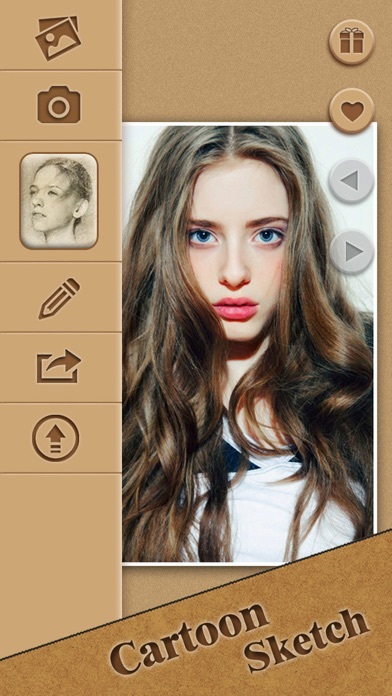 * A powerful photo editor to use. * Share via Facebook, Twitter, Instagram, Sms, E-mail, etc. Great selection of filters and effects but if only they'd made the icons more realistic. As it is now you have to test each one to have any idea of what you'll get. So one star lost but a great app nonetheless.